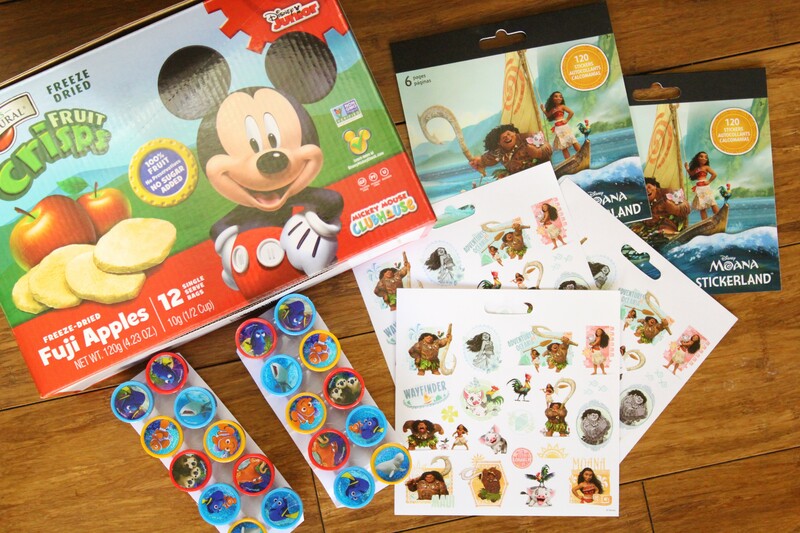 I recently did my first fish extender gift exchange on Disney Cruise Line when I headed out to see with Disney Moms on the Disney Social Media Moms Celebration. For the fish extender, we created a DIY that was Finding Dory themed (one of my daughter’s favorite movies). When you have a fish extender on your door, you participate in a group gift exchange of small gifts and trinkets to place in your group members’ fish extender holder. Leading up to the gift exchange, it’s fun to get creative with your family on what to put together for a goodie bag! To put our bags together, we used clear treat bags, and then tied them with a ribbon and Mickey-shaped tags with our family’s name on it. When we got to our room at the end of the night, my daughter was so excited to go to our fish extender to see what treasures were left for her! It was a great way to spread joy to other family’s cruising with you, as well as bond as a family by making the DIY’s before the trip. I would love to hear your what your fish extender gift ideas are, so be sure to comment below with them or tweet them to me @healthy_mouse on Twitter! Furrytale Friends at shopDisney is Probably the Cutest Thing Ever!